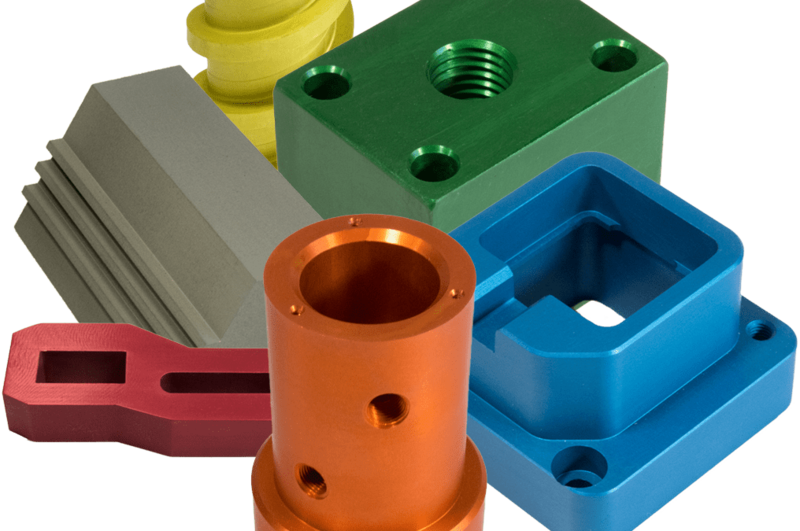 What Is Type II Aluminum Anodizing? - PFI Inc. Type II anodizing is a process done by placing the aluminum in a sulfuric bath which builds up the aluminum oxide on the surface as well as into the aluminum material too, about half and half. The fact that this process builds into the aluminum material also creates an interesting property of the aluminum oxide making it a great electrical insulator. This dielectric property as a result of anodizing will provide aluminum the ability to withstand 800 volts per 0.001” thickness of build-up for type II anodizing. This oxide layer can also be dyed into various colors giving the end product excellent decorative finish options in addition to preventing conductivity and protecting against corrosion. Type II anodizing is the common referral derived from military standard spec Mil-A-8625. There are three types of sulfuric anodizing, Type I, II, and III. Type I anodizing uses chromic acid to give aluminum similar properties to type II as described above, just a thinner film. Usually, chromic acid anodizing works best on aluminum with few alloying elements and produces enhanced drawing and forming characteristics. Type III is the same mil-spec as type II (mil-A-8625) but is the hard coating anodize for abrasive wear applications requiring a larger build up. It’s the same acid bath process, just done at cooler temperatures (usually 34-36 degrees Fahrenheit). Type II, by contrast, has an acid bath of about 68-70 degrees Fahrenheit. The anodizing process stops the aluminum from corroding or turning white in the weather. Anodizing insulates the aluminum from electrical currents, making it useful as a commercial anodic finish for interior applications or light exterior applications that are cleaned often or exposed to outside elements. There is a clear anodize coating, but it is also can be dyed in multiple colors available on hand or a custom color. There are different grades of aluminum, but not all aluminum dyes are the same-similar to how different kinds of wood takes stain. Are There Color Limits for Decorative Anodizing? The range of colors could be infinite as different dyes can be made depending on the setup conditions. There are certain popular colors that are always available, custom colors (except white) can be created though per client request. Is Hard Anodize the Same Thing as a Type II Anodize? Hard anodizing is really Type III though it shares the same mil-spec and acid bath technique. Type III / hard anodize is much thicker and abrasion resistant coating compared to type II. Can I Anodize Any Other Parts Such as Brass or Steel? No, the specific part being anodized must only be aluminum as anything else would be damaged by the sulfuric bath. How Thick is the Coating for Decorative Anodizing? Anodizing coating build-up results in about a 2 to 25 Qm (.0001” to .001”) thickness increase.